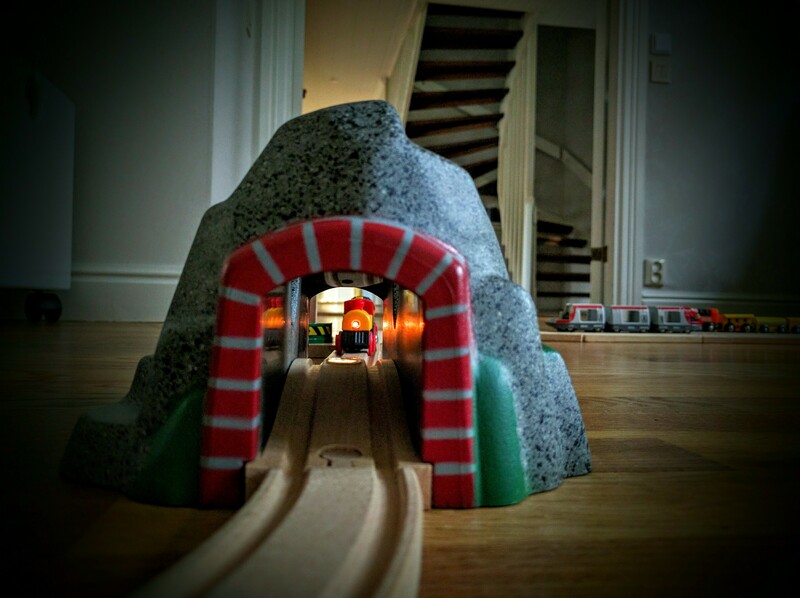 A long time ago I was a kid with the desire to build stuff, to make a little part of the world mine. 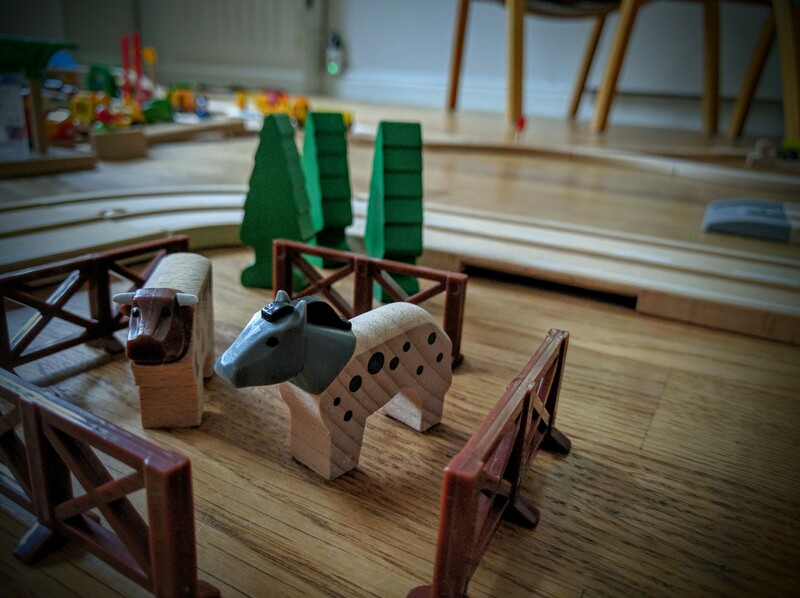 Many different toys passed through my life but only a few passed the test of time. 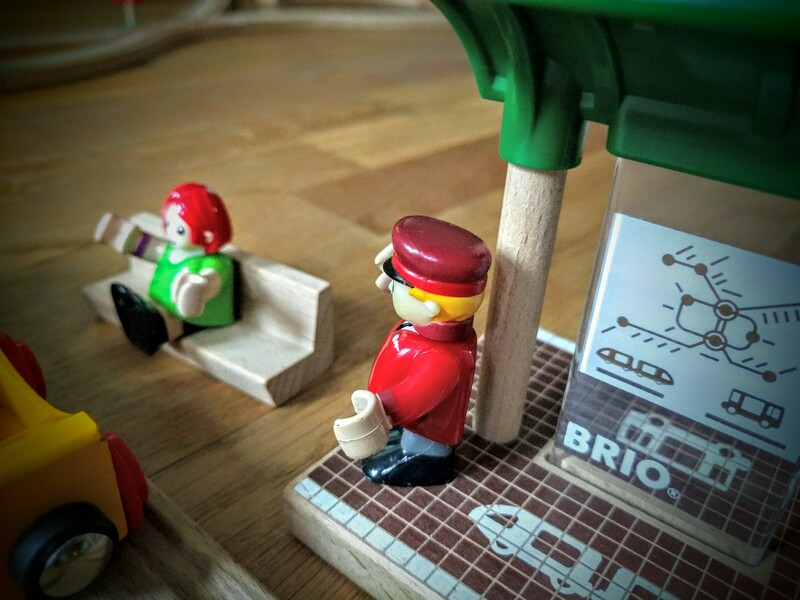 The wooden train set from Brio is one of those toys. 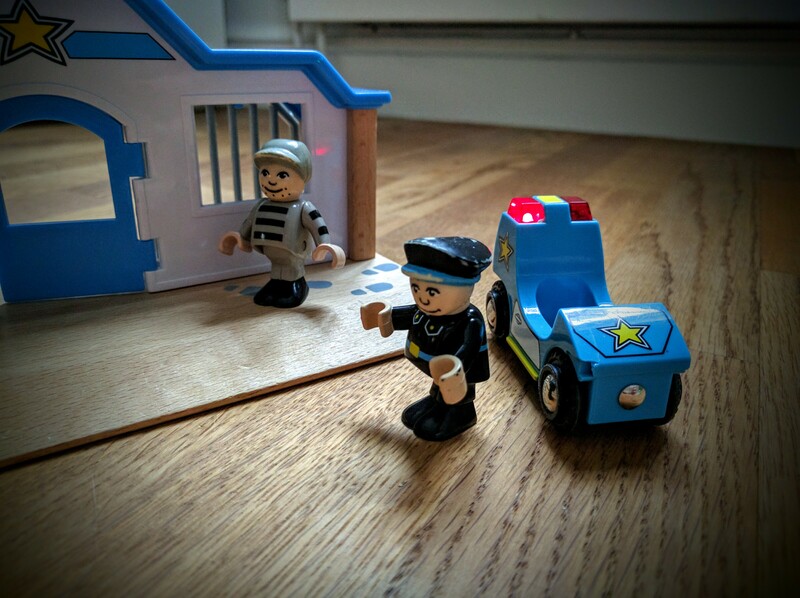 As an adult I enjoy playing with it together with my kids on a daily basis. 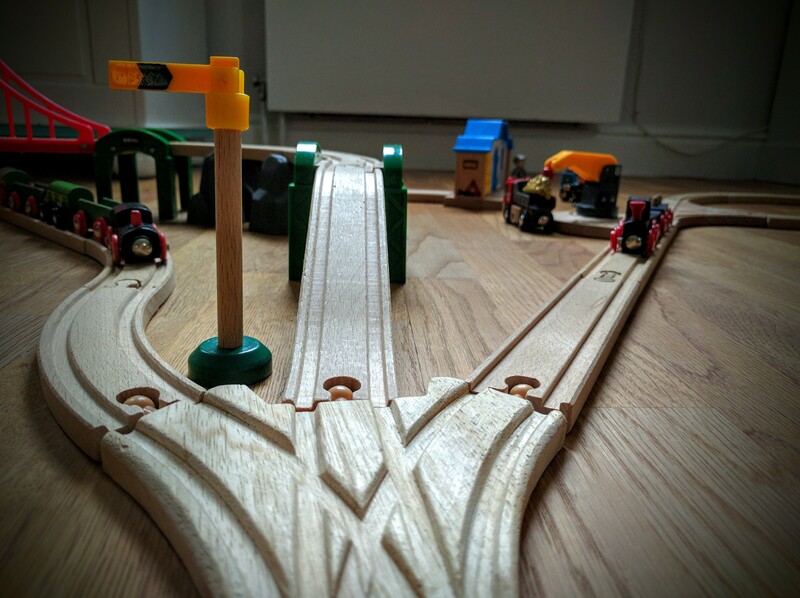 The possibilities are endless and my kids find new ways of playing with it each day. The pictures here only represent the latest scene of creation. 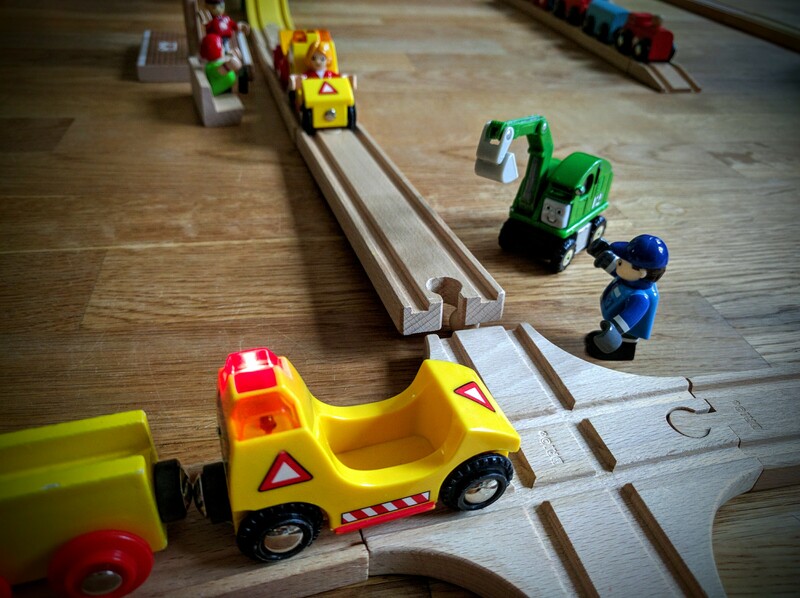 Some people might argue that “that’s a ton of wooden pieces, can’t you settle for less?”, well yes you could but it’s like painting with only one color – it may be fun but you won’t paint any rainbows. Or imagine a piano with only one key, it’ll be able to play some simple melodies but the grand pieces will be impossible with only one tune. So no, you really want to get as many pieces as possible and – by the way – the second hand market is pretty good as well so buying a start set wouldn’t cost you a fortune. 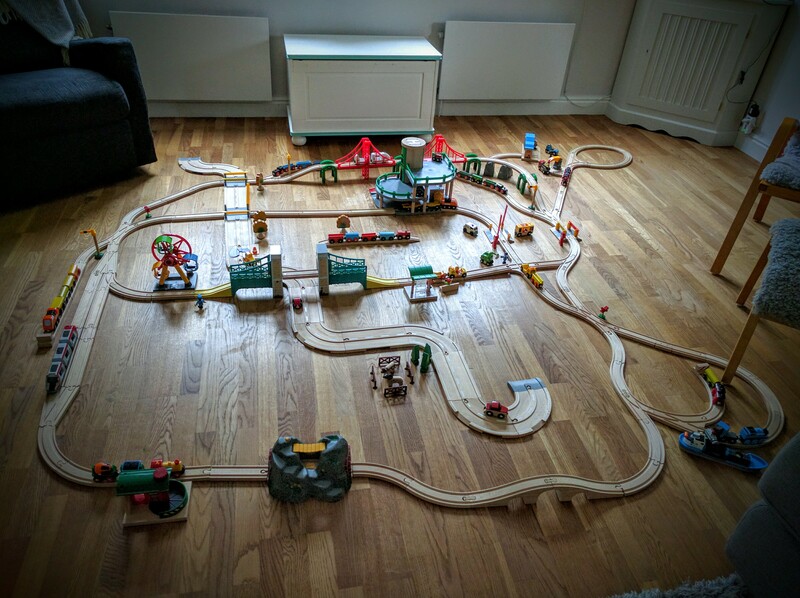 If someone decides to buy their train set used the quality of it will probably be about the same as pictured in this post (I’ve played with some parts of it when I was a kid 30+ years ago). 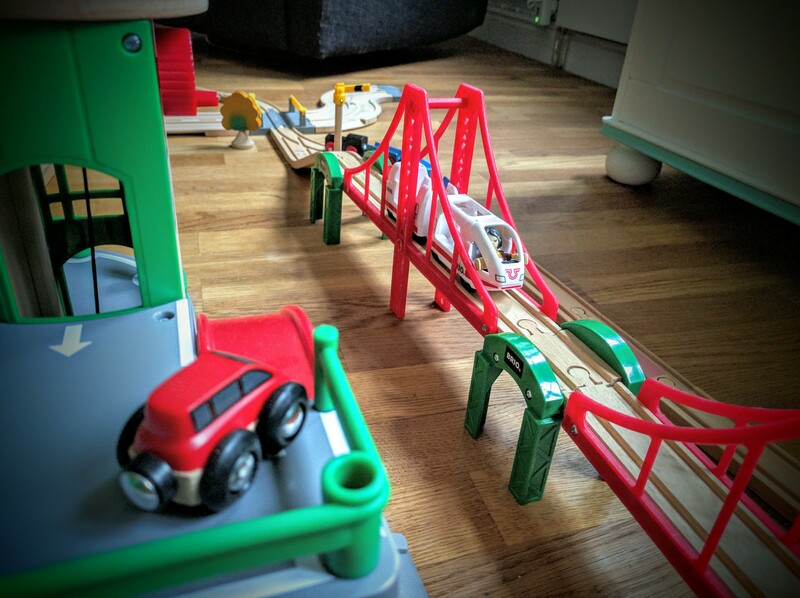 When the kids were too young to tell what they wished for Christmas and birthday we always told the kids’ grandparents to get train stuff. 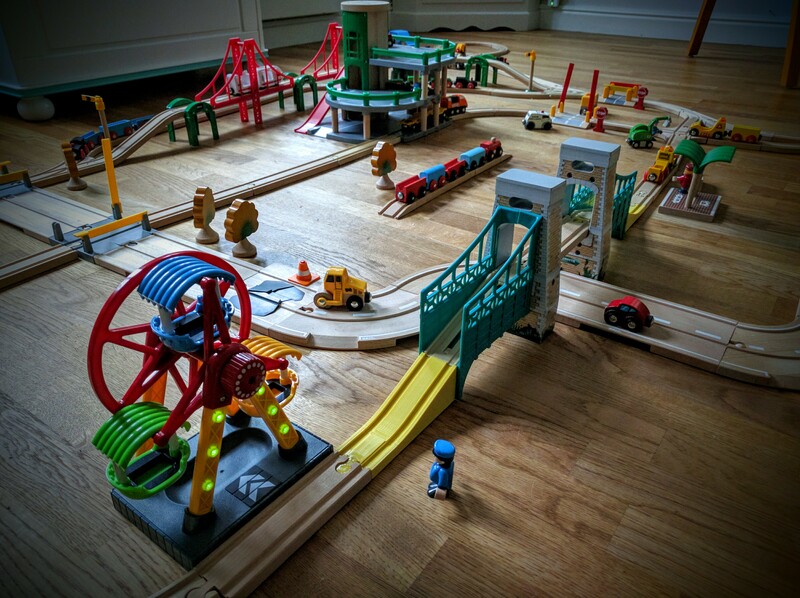 You’ll never go wrong with expansion sets or bridges (or bridge foundations ). 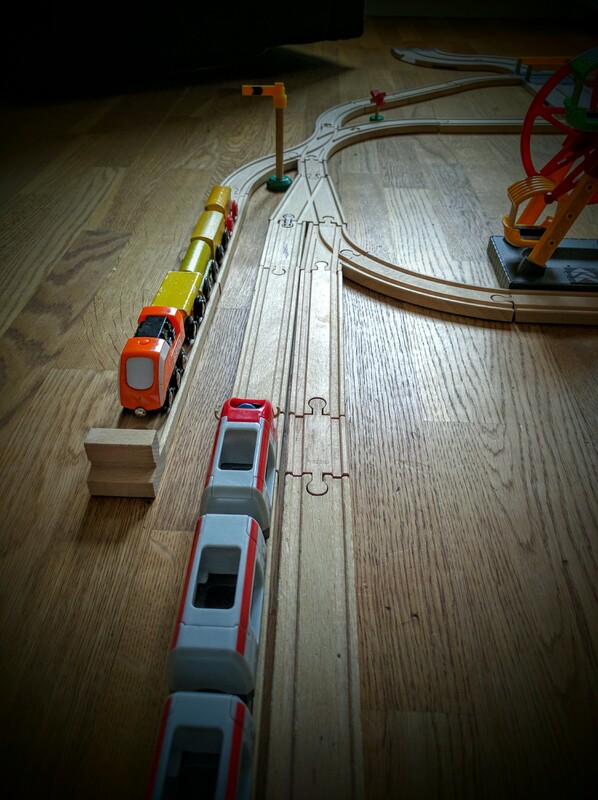 We funneled our kids’ gifts towards the wooden train sets and that’s why we have so much train tracks. 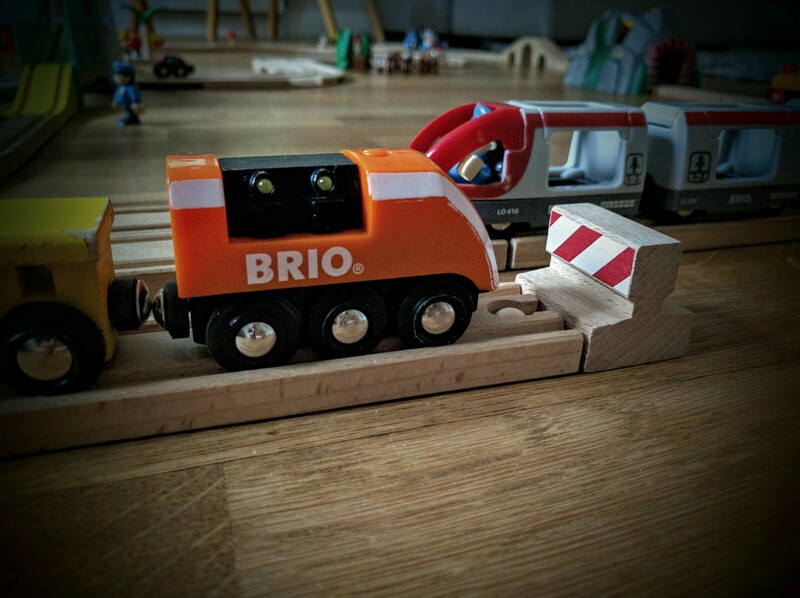 There will be wear and tear but the Brio train set will last a life time or more. If something breaks the repair is easy and most of the broken pieces will be fixed with a simple squeeze of wood glue . Just make sure to wipe off any excess glue before letting it dry, the hardened glue will not come off as easy as you may think. 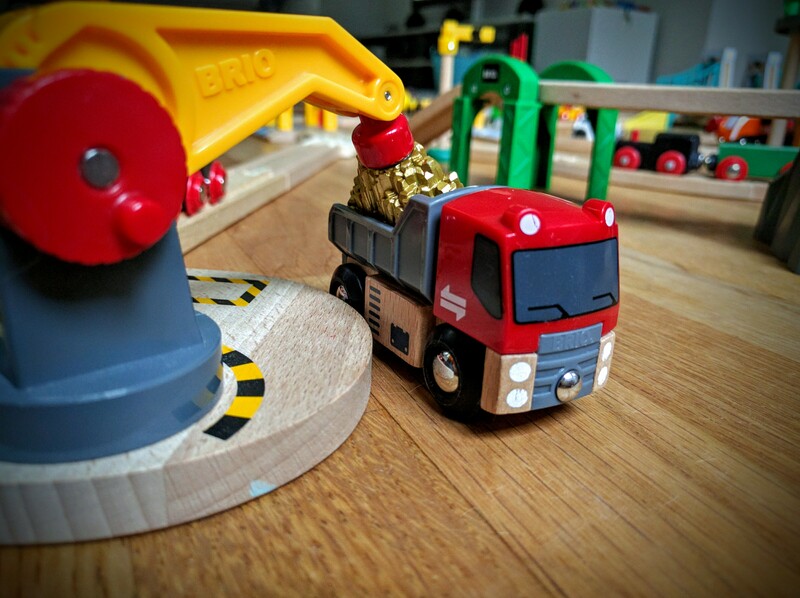 One great thing that I didn’t have when I was a kid is the possibility to expand the Brio universe into the realms of Thomas & Friends and Chugginton . 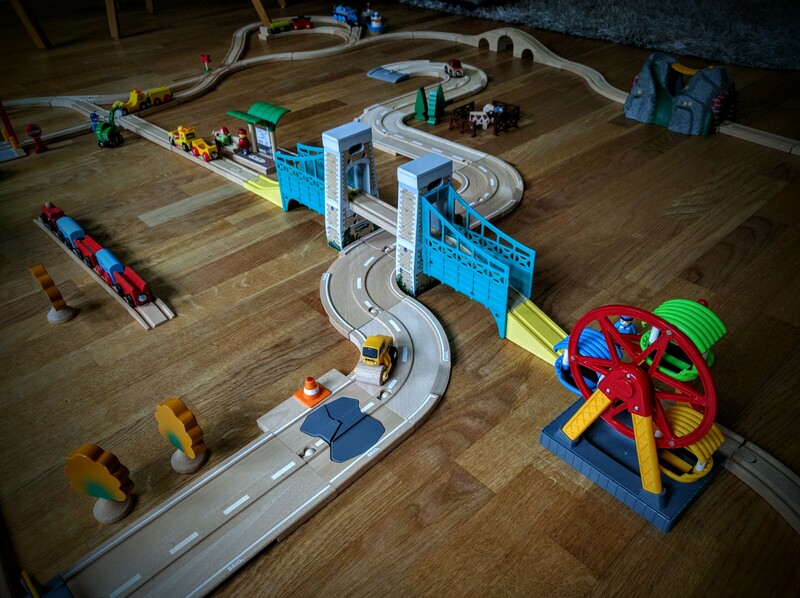 The sets are 100% compatible with each other and that’s a great thing because that means that even small players in the wooden train scene are able to sell their expansion sets and accessories. 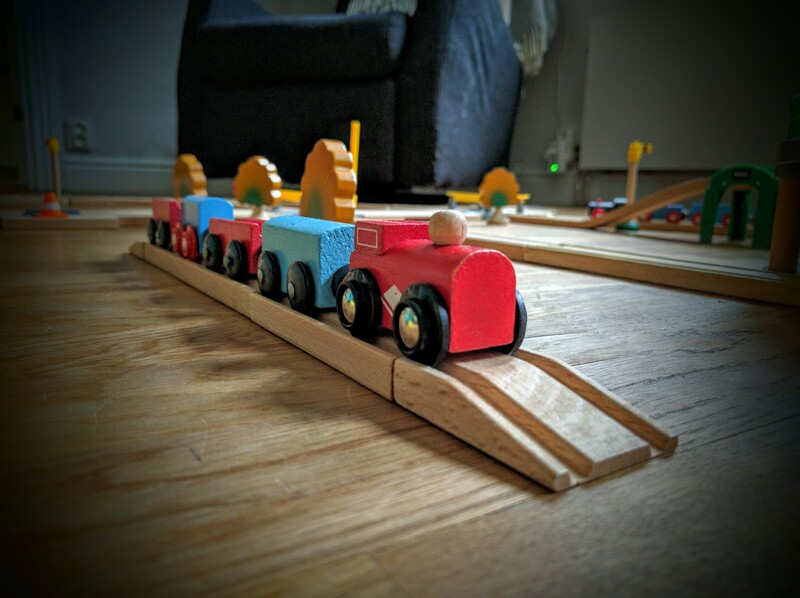 I’ve even got stuff from the IKEA wooden train set – they all connect but beware that their plastic connectors on their track are a very tight fit and you’ll need to use a plier to squish them a bit. 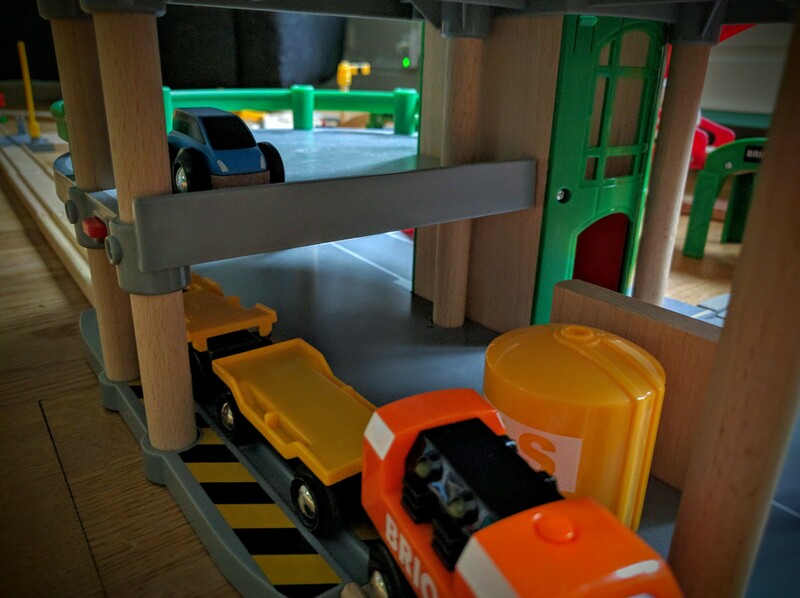 Also the tunnel under the IKEA-bridge is not high enough to let a train pass under on a railway track. They’re cheap though! 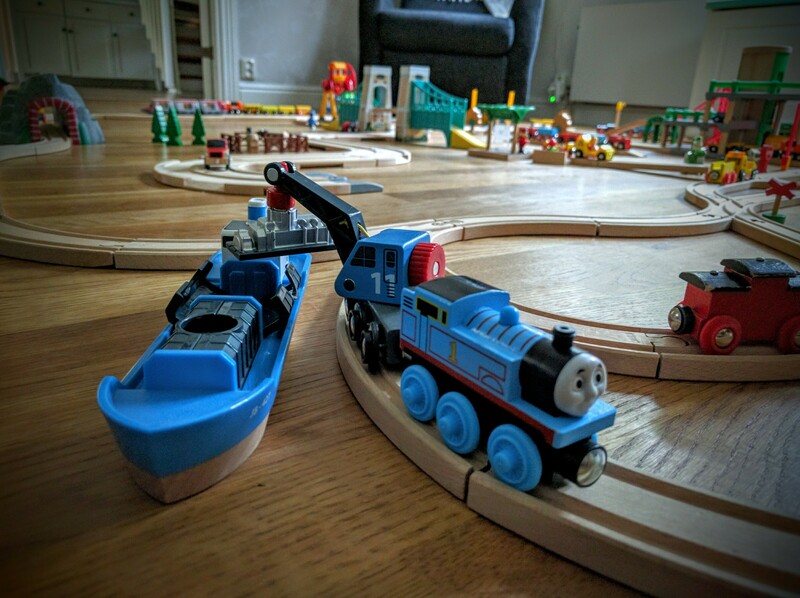 Any train set mentioned above together with roads, boats, and cranes will be played with for generations to come and there’s even electric (some remote controlled ) engines for the older children. 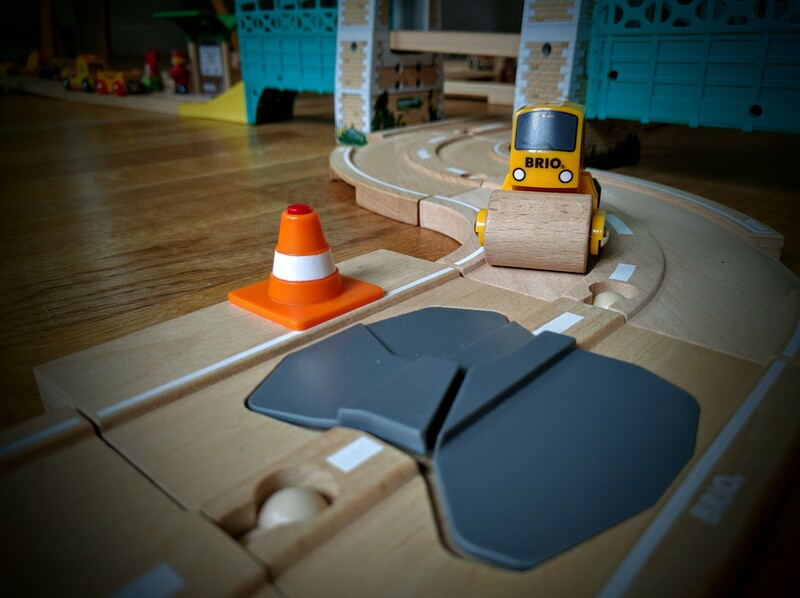 I recommend a storage bin (or chest) as seen in the overview picture (this particular one is from IKEA and has slow closing hinges which will do its best not to smash your kid’s fingers). 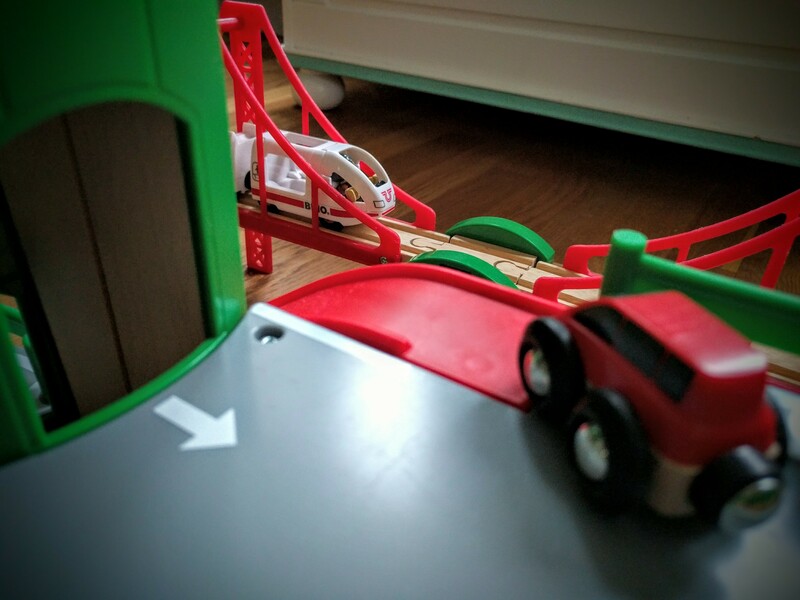 A nice thing is that with a 3D-printer you will be able to create your own custom track parts with ease. 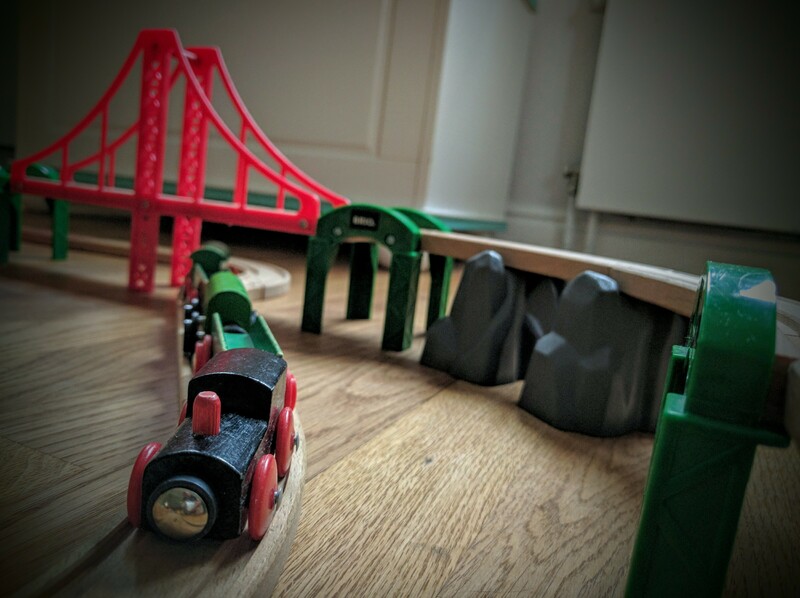 You might notice the green “brick” bridge in the middle of the scene, the ramps are 3D-printed as a result of the suspension bridge was broken when I bought the used train set. 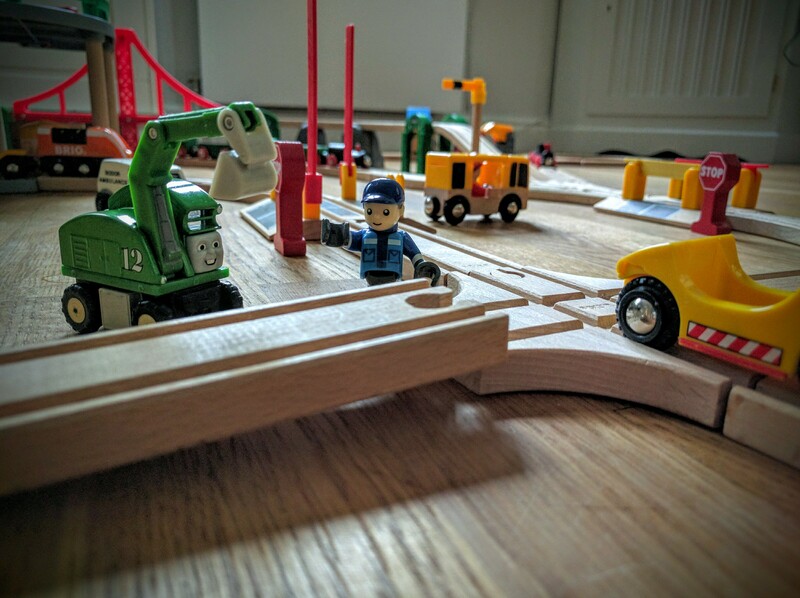 Also some railway crossing gates where missing so I printed some spare ones (they are printed using yellow ABS plastic, the same goes with the ramps). A tip for 3D-printing with ABS filament; use hairspray on the heated build plate in order to keep the ABS from warping. It works a lot better than tape or glue! 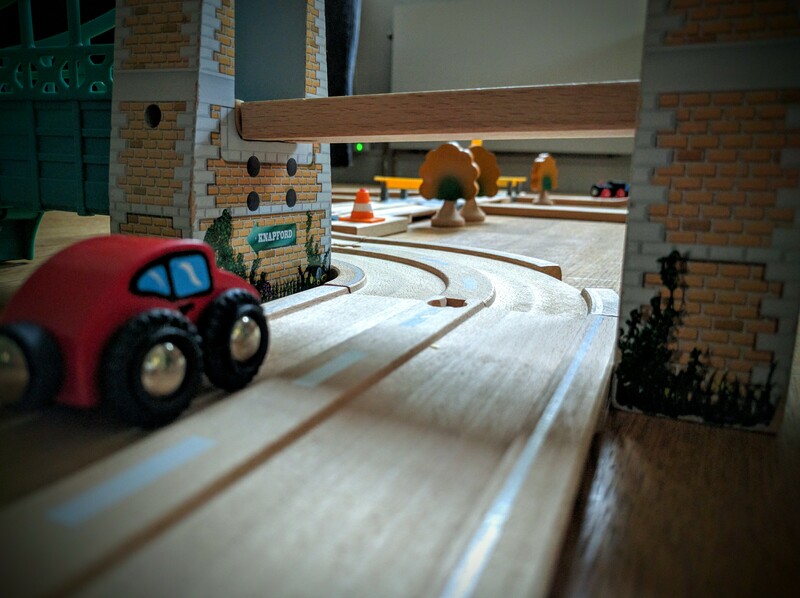 If you’re feeling really craftsman like I’d go for the MLCS Train Track Bit Set which let you run tracks in any piece of wood. 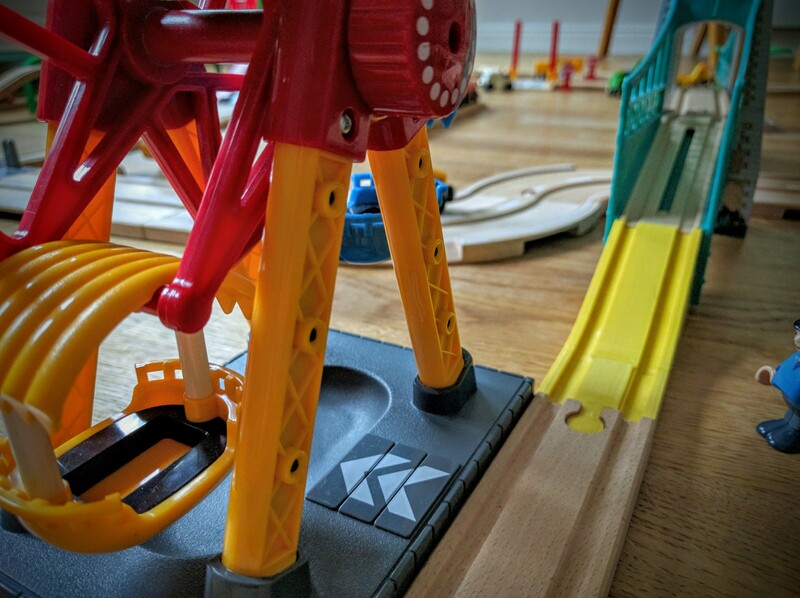 I’d bet you’d be able to get away with giving parts created with these bits as a Christmas gift, which wouldn’t be the case with 3D-printed parts.